Jeetly Petite offered* me to send a garment of my choice for review from their selection. 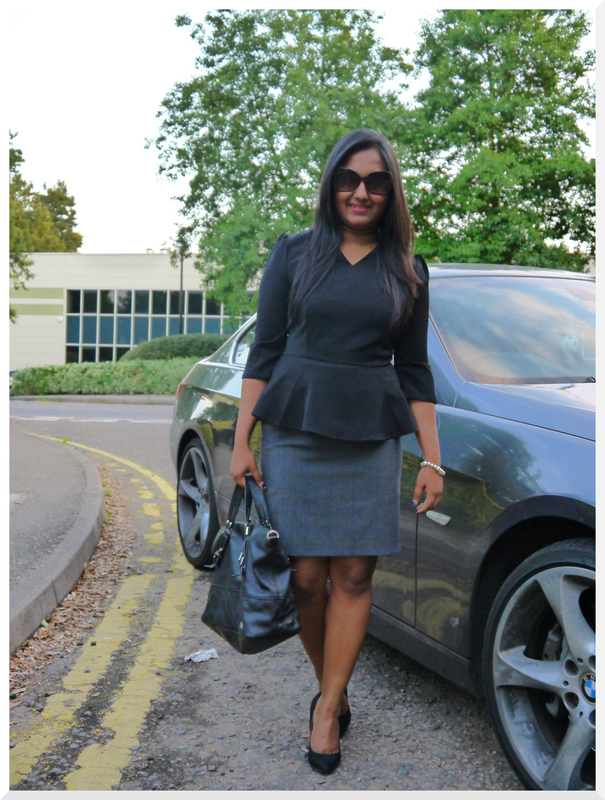 I took the opportunity to try out the Chloe Petite Black Peplum Top. I had never worn a peplum top so I was really excited to try it out. 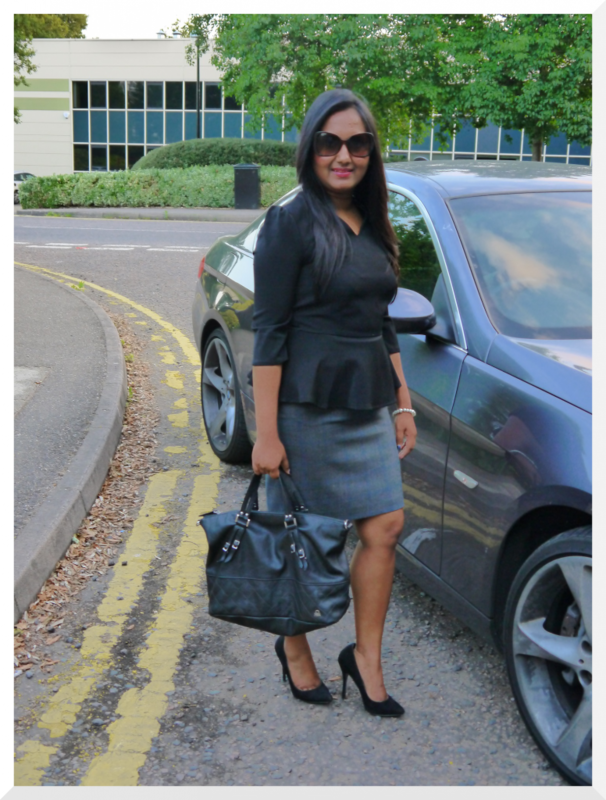 I absolutely love Jeetly Petite and always wanted to buy work wear from them. In my current job, I really don’t need to wear formal clothes so never had the opportunity indulge in formal clothes apart from the one pair of suit I have for interviews. For those of you who don’t know, Jeetly Petite is a premium brand of business wear for petite women like me. Their clothes are classy and chic. They pay attention to the smallest of details to ensure proportions flatter a petite figure. I was really impressed with the quality of the garment. It was premium high quality material. The size is right and compliments the skirt, making me look tall ( bonus for petites). The Peplum top pattern flatters my figure, the silhouette is classy, chic and sophisticated. I was extremely happy with the top and by far, it’s the best petite top I have ever tried on. So all you petite ladies what are you waiting for? Check out Jeetly Petite website now, I promise you won’t be disappointed. Also, Jeetly Petite is running a Summer Sale on their website, discounts are up to 50% and ends on 31st July. *Disclosure- Jeetly Petite sent me the Peplum Top for review, to be trialled and then sent back after 7 days. All opinion in this review are my own and has not been influenced by the brand. You look stunning with the peplum top ! 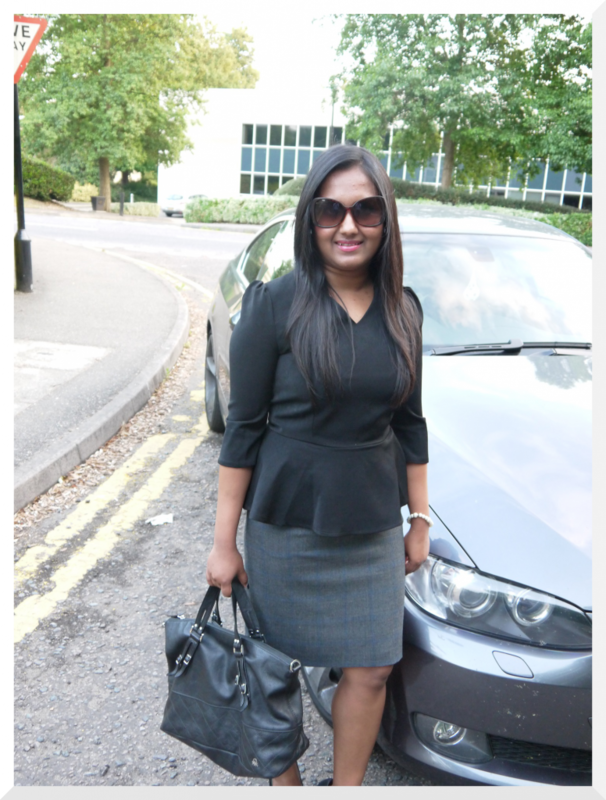 I am also doing a post on Jeetly Petite, her attire is remarkably well made and classic. You make me want to order the peplum as well! Hi Debonita! I found your blog via Jeetly petite. The top looks lovely on you. I’ll be writing a blog post on Saturday about where petite women can read UK petite blogs and have included your blog in the article.